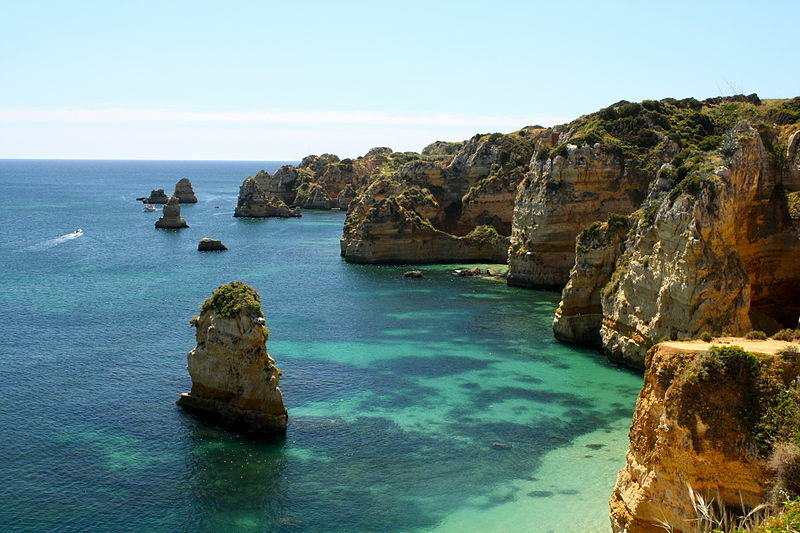 If you are looking for a sunny, sandy, family holiday, look no further than the southern Portuguese coast of the Algarve. With beaches a plenty carved out from limestone rocks, you’ll be spoilt for choice when it comes to choosing somewhere to stay. 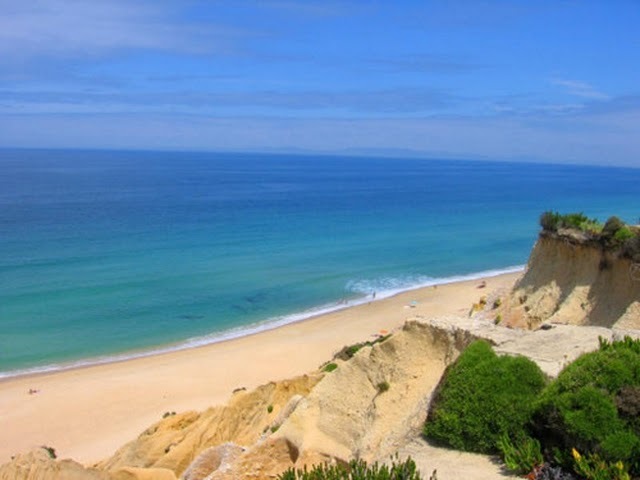 With small villages such as Alvor and Boliqueime to the larger, built up towns such as Albufeira and Villamoura, all with beautiful beaches, there really is no end to the kinds of holiday you could have on this 200 kilometre stretch of coastline. One child-friendly beach is Gale, which isn’t as rocky as some of the others and is a very long stretch of sand. Fishing boats come in every day and it is a perfect beach for relaxing, building sand castles and paddling in the sea. But there really is no end to the choice of beaches in this pretty part of the world. Something that is consistent in this area is the food; for adults it really is some of the best, with fresh fish being easily sought out along the harbours of the towns, the aroma of the just-caught seafood enticing you in. Or the authentic piri-piri chicken in small local restaurants. There are children’s menus in all restaurants so rest assured there will still be food for the young ones too if sea food or piri-piri is a bit exotic for their pallets. Activites are also abundant. 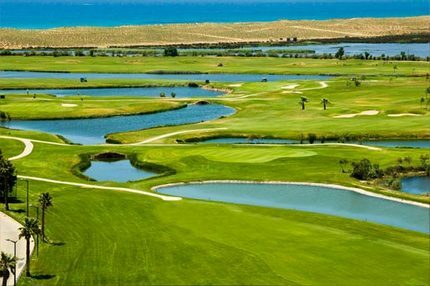 The Algarve is a popular destination for golfers, so there are opportunities for Dad or Mum and even the kids to hit the courses. Laguna stands out as a golfers paradise, with beautiful courses to indulge in. For those looking for something a bit more luxurious there are exquisite hotels and complexes with tennis courts, squash courts, football pitches and golf clubs on the doorstep. The beaches host the usual array of water sports you’d expect; pedalos and banana boats along with kiteboarding, surfing, wakeboarding for the slightly more adventurous. Some towns offer canoeing trips and many have caves which you are able to visit. To create a magical visit for your children, wild sealife watching trips are available from Mar Ilimitado at Sagres. There is a chance on this trip to see dolphins leaping out of the sea. 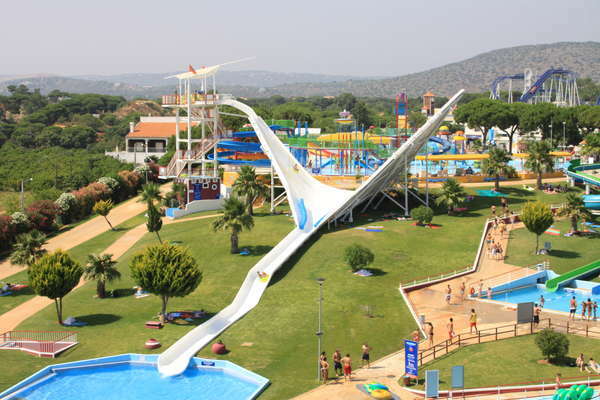 There are four water parks all located on the west side of the Algarve which make for a great family day out; with both larger slides for older children and adults, as well as smaller pools and slides for younger children. You have the option to take a packed lunch with you, or to buy from the array of restaurants there. Aqualand is a personal favourite, however Aquashow is arguably better suited to younger children. For those who want to soak up some culture as well as the sunshine, there are two places that stand out; Silves, with it’s famed castle and the historic 13th century centre of Loule. 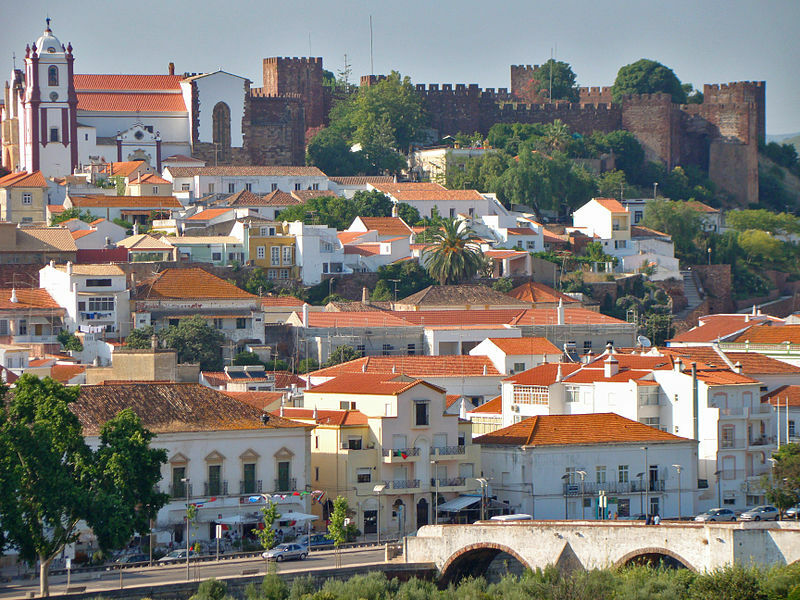 Silves, which lies inland and is surrounded by orange and lemon trees and sits on the Arade River. As you come into Silves, the first sight you see is the Castelo de Silves by the Se de Silves Cathedral, as they are situated on a hilltop above the riverside town, which is quite a stunning sight. It is a lovely place to visit, with a picturesque central square and a number of nice restaurants and bars. Loule is a larger area and is home to the ‘golden triangle’; Vilamoura, Quinta do Logo and Vale do Lobo, but the centre of Loule is a historic 13th century town which also plays host to the remains of a castle, a 13th century church, museum and a whole host of restaurants. 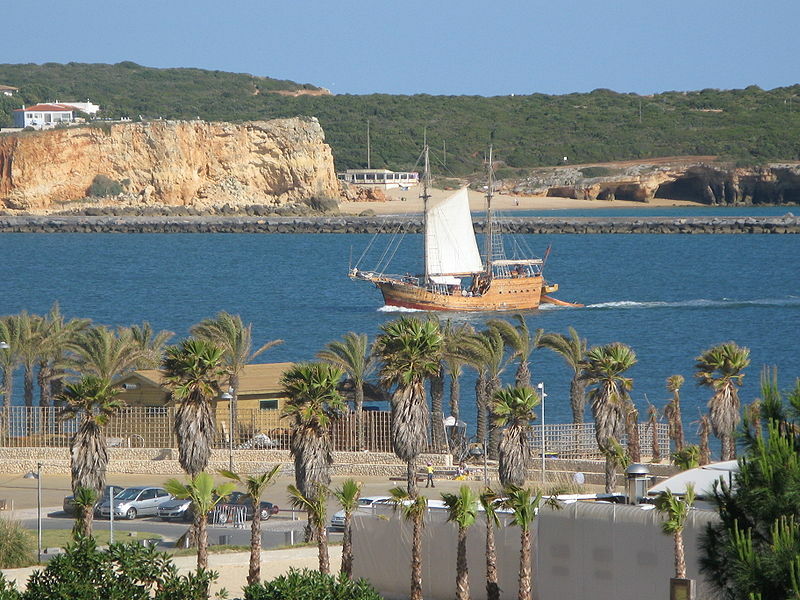 So, whether you want sport, relaxation, decent food, history, book a flight to Faro and discover for yourself the beautiful Algarve. SeaBookings.com is Portugal’s unique resource for searching, finding and booking ocean related touristic activities. Book your boat tours & watersports online now!